Bruxism is the habitual grinding of teeth or clenching of jaws, which usually occurs at an unintentional and unconscious level. It can occur either when the person is awake or when he is asleep. In fact, it is seen most individuals (irrespective of their age) at some point of time in their lives. Bruxism symptoms vary depending upon the cause, duration, and the severity of the condition. One person who grinds his teeth might experience no symptoms at all, while another person with the same condition might experience a wide range of symptoms. Regular visits to the dentist can alert you to bruxism symptoms in their early stages. Here are some common bruxism symptoms, many of which may be revealed when your dentist examines your teeth. Grinding your teeth puts pressure on the muscles, tissues, and other structures of the oral cavity around your jaw. When this continues for an extended period of time, it can cause temporomandibular joint (TMJ) problems (such as clicking or popping sounds while opening the jaws or while chewing, and difficulties in opening the mouth fully). Advanced symptoms of bruxism include continued facial pain and stiffness in the neck and shoulders. If bruxism goes undiagnosed and untreated for a long period of time, it can drastically change a person’s appearance in the following ways. As the teeth wear out, they become shorter. When the mouth is closed, the upper and lower jaws are nearer than they used to be, and so are the nose and the chin. The skin around the mouth may curl around the lips, causing the lips to seemingly disappear. The person begins to appear much older than he actually is. Bruxism, even when it becomes an established pattern, does not pose danger to life. At the outset, bruxism symptoms are often inconspicuous. As a result, they are easily overlooked by patients or by parents (when bruxism occurs in a child). When this happens, bruxism progresses to advanced stages and begins affecting the entire dental structure. Regrettably, this delay in seeking treatment may have already caused irrevocable damage. To ensure the timely diagnosis of bruxism, regular visits to the dentist are a must. Bruxism is a medical condition characterized by the clenching or grinding of teeth, usually done unintentionally and unconsciously. It can occur either when a person is awake or when he is asleep. Sleep-related bruxism is often the bigger problem because it is harder to control. While the condition is not fatal in itself, unchecked bruxism causes increasing damage to the dental structure. Stress is one of the most common bruxism causes. Bruxism has been frequently linked to certain mental conditions, the most common being day-to-day stress. This link has been seconded by studies that have been conducted on patients with bruxism. These studies have revealed that people may grind their teeth due to stress and anxiety, without actually being aware of it. There is a direct correlation between stress and bruxism i.e. greater the stress levels, higher the number of bruxism incidences. 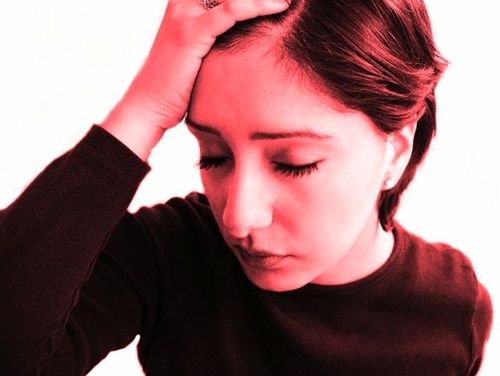 The reason for this could be the disturbing negative effect of stress on the quality of sleep. Obstructive sleep apnea (a sleep disorder characterized by the stoppage of breathing during sleep) is a known cause of bruxism. In rare cases, certain medicines such as those used to treat depression and elevate moods have been known to cause bruxism. 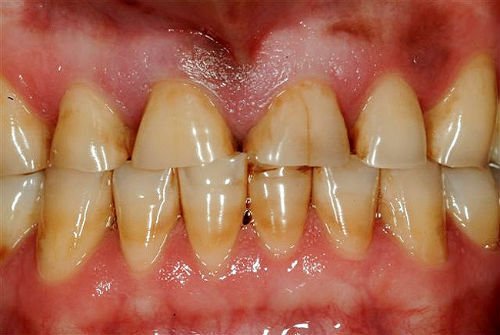 There have been hints that as many as 50% of children grind their teeth at some point of time. Your child may develop bruxism when his baby teeth come out or subsequently when his permanent teeth emerge completely (teething). Grinding that results from teething usually comes to a halt after all the adult teeth have emerged completely. If bruxism persists in children even after teething, it could be due to some of the reasons mentioned above, stress during exams being the most common. 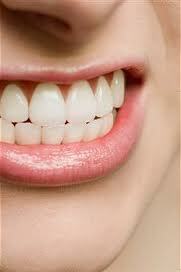 Having crooked teeth is also one of the causes of bruxism. In many cases of bruxism, there is usually an underlying medical cause for the condition. It is best to counter bruxism causes by seeking treatment for the underlying condition first. Bruxism can progressively affect your teeth, jaws, and other dental structures, causing much pain in the long run, so it is highly advisable to seek prompt treatment for the condition. Do you grind your teeth often, usually without being aware of doing so? In all likelihood, you have a medical condition called bruxism. 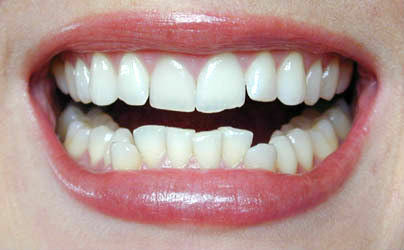 While this condition is not fatal, it can still cause much damage to you teeth, jaws, and the entire dental structure. It is important to learn what is bruxism, as this condition can occur in anyone at any age. What is bruxism? It is a condition characterized by the unintentional and unconscious grinding of teeth. Bruxism is the medical term that refers to the clenching of jaws or the grinding of teeth. It is called a para functional (outside of normalcy) activity. It is a habitual and more importantly, an involuntary action. People with bruxism often clench their teeth while awake, but in most cases of bruxism, the grinding of teeth occurs during sleep. Most people grind their teeth at some point in their lives. Bruxism can occur at any age. In children, it is usually noted at the time their baby teeth or permanent teeth are coming out. Bruxism can occur at any age. Awake bruxism is characterized by the involuntary clenching of the teeth in reaction to certain stimuli when a person is awake. He normally does not grind his teeth in this condition. This type of bruxism is distinguished by the automatic grinding of teeth during sleep, accompanied by sustained contractions of the jaw muscle. This type of bruxism usually comes with no clear underlying medical condition. This type occurs due to a pre-existing medical or psychiatric condition in the patient. The grinding of teeth can cause permanent dental damage and result in jaw pain, ear aches, and headaches. Bruxism is not a dangerous disorder. However, depending on the severity and the duration of the condition, it can cause permanent damage to the teeth and result in uncomfortable jaw pain, headaches, or ear aches For this reason, it is important to get dental examinations done periodically, to ensure that bruxism can be diagnosed and treated at the earliest, if present. If you unintentionally or unconsciously clench or grind your teeth, it is highly likely that you are suffering from a condition called bruxism. Though bruxism is not a life-threatening disease, it can cause damage to your teeth, muscles, and joints of the face, depending upon the duration and the intensity involved when you clench or grind your teeth. Not to worry though – you can tackle this condition by using a bruxism mouth guard. What’s A Bruxism Mouth Guard? A bruxism mouth guard is an appliance used to protect your teeth from the damage caused by habitual clenching or grinding. It covers your teeth and partly your gums. Try a bruxism mouth guard to avoid unconsciously clenching and grinding your teeth. A bruxism mouth guard can also be helpful in certain other situations, such as in contact sports (boxing and football), ailments of the jaw joint, stabilizing the upper and lower teeth, and dental procedures like tooth bleaching. To ensure that you get the right bruxism mouth guard for your problems, these are some of the questions that you should ask while picking one up. Will it cause difficulty during breathing? Is it easy to use i.e. is it easy to insert and remove the mouth guard? They are manufactured in bulk in various sizes and are ready for instant use. They are reasonably priced, and are available at pharmacies and sports shops. As they are ready-made, they might be slightly ill-fitting. Adjustments cannot be made to improve their fit, but they can be trimmed a little using a pair of scissors. They are not routinely recommended by dentists. Also called mouth-adapted guards, these popular mouth guards are made from a thermoplastic material that softens on heating and hardens on cooling. They fit much better than ready-made mouth guards. Prior to use, place this mouth guard in hot water to soften it. Then place it in your mouth and gently adjust it over your teeth using your fingers and tongue. Made of resin, these mouth guards provide the best fit and comfort, and form the greatest shield when you grind your teeth. They are slightly expensive compared to the other options. These are intended for use only in a particular patient, and are made at the dentist’s clinic or in a dental laboratory. 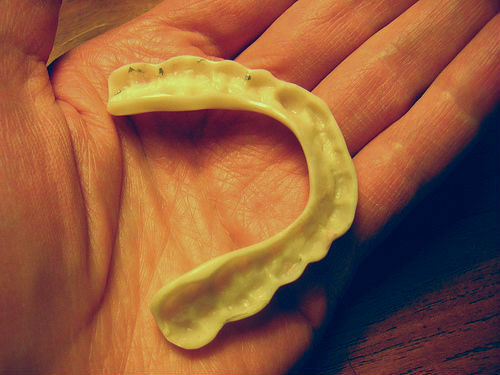 Your dentist needs to take a measurement of your teeth to make this type of mouth guard for you. Is Your Bruxism Mouth Guard Comfortable To Wear? Is the mouth guard seated completely? Is it causing you any pain or discomfort? Are your gums feeling pinched as a result of wearing the mouth guard? If you’ve answered any of these questions with a ‘yes’, do consult your dentist for further advice. Various brands of mouth guards are available commercially, and manufacturers claim that there are mouth guards suited for a variety of conditions such as smaller mouths, sensitive gums, and severe bruxers. However, the best person to recommend a bruxism mouth guard would be your dentist, so make sure that you consult him before making a decision. If you persistently grind and clench your teeth, most often unintentionally or unconsciously, you might suffer from a condition called bruxism. While this condition is not life-threatening, you must undergo bruxism treatment to prevent irreversible damage to your teeth and their surrounding structures (joints). 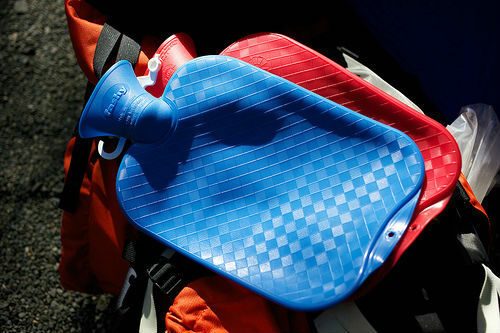 Start your bruxism treatment with a hot water bottle to soothe your jaw muscles. Bruxism treatment involves providing relief from the pain, managing the damage already done to your dental structure, preventing further damage, and doing away with the habit. 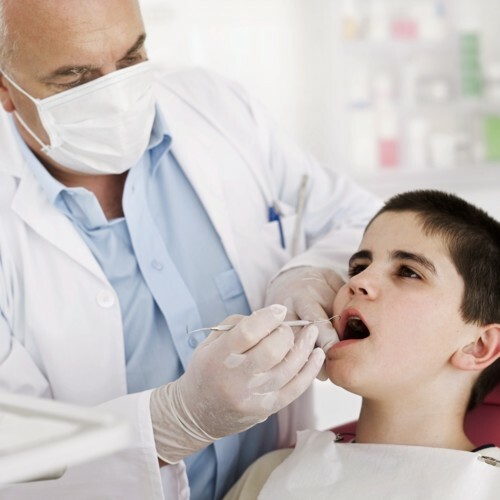 When you plan a visit to your dentist, ensure that you carry a list of your symptoms, the medication you are currently on, and any queries you have regarding the condition. If the dentist identifies the cause of bruxism (sleep disorders or certain medicines), he will refer you to a physician who can cure you of the underlying problem. Although not a common practice, your dentist may prescribe a few doses of medication to relax your muscles (muscle relaxants). He may also prescribe a mouth guard to protect your teeth and prevent them from damage when you clench or grind them. Biofeedback is a relatively new technique that aids patients in consciously making an effort not to grind their teeth. It can help you only if you clench or grind your teeth when you are awake and is not to be used if you are a sleep ‘bruxer’. This technique uses an electronic instrument to detect muscle activity and informs you if there is any increase in the muscle activity usually identified with bruxism. This will help you keep a check on the condition. Visit a counselor to help reduce stress levels and make you a calmer person, which in turn reduces bruxism. Seek the aid of a physical therapist to learn stretching exercises, to maintain optimal balance in the muscles of your face, neck, and shoulders. With plenty of options available for bruxism treatment, it is highly recommended that you immediately get to the root of this troublesome condition, which is not fatal but can definitely damage your teeth!